A characteristic small tree of deciduous forests (oak, hemlock-hardwoods, and especially beech-maple). The largest tree in the state is 9 dm in diameter, but most are much more slender. Sometimes (especially formerly) called Leverwood, from the hardness and strength of the wood. 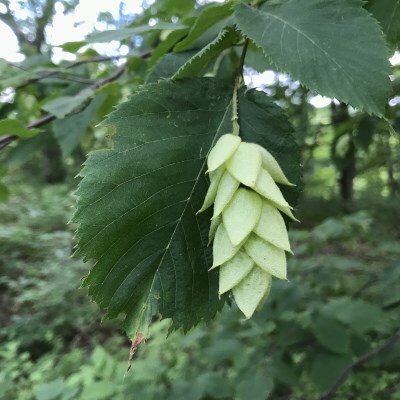 The foliage resembles that of yellow birch (Betula alleghaniensis), but, as in Carpinus, the leaves are always single, not in pairs, while in B. alleghaniensis the leaves on very short lateral shoots (not new branchlets) are generally paired. The stigmas tend to be more delicate and elongate and less brightly colored than those of Carpinus or Corylus. The nutlets are basically in pairs, but each is surrounded by a sac (enlarged and modified from the tiny floral bract); the single true subtending bract is deciduous. MICHIGAN FLORA ONLINE. A. A. Reznicek, E. G. Voss, & B. S. Walters. February 2011. University of Michigan. Web. 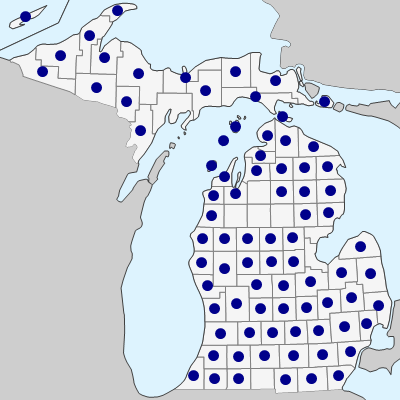 April 18, 2019. https://michiganflora.net/species.aspx?id=558.